Athena. By:. 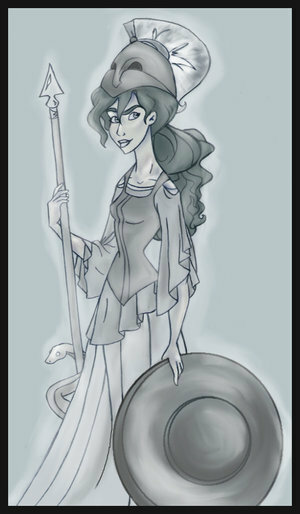 Wallpaper and background images in the Griechische Mythologie club tagged: goddess hercules cartoon comic fan art athena. This Griechische Mythologie fan art might contain anime, comic, manga, cartoon, comic buch, karikatur, and comics. Awesome! She's perfect!!! GO ATHENA!! !